According to a recent news feature from WCNC News, there was an understandably strong reaction from the social media community when a man who had three limbs amputated was denied for Social Security disability benefits. She suffered from a very serious infection known as sepsis and almost died. She was lucky enough to survive sepsis, but the infection required doctors to have to amputate three of her limbs. In total, she lost one leg, one foot, and both arms. She was left with one leg without a foot. She was a stay-at-home mom before becoming sick and had not worked for the ten years prior to filing for Social Security benefits. She had chosen to stay home and take care of her family while her spouse worked. While she did not earn an income, she clearly provided a great deal of value to her family.We are not only talking about value in terms of the relationship with her children, but also financial value, since they did not have to pay for childcare or many other household expenses as she was performing these functions. If they had to pay service providers to perform these many tasks, it would have cost a great deal of money. 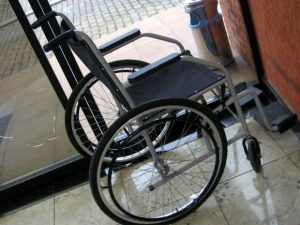 However, as you can discuss with your Boston disability benefits attorney, the system requires you to pay tax money into the disability fund for which you earn a number of quarterly credits. As you earn these credits, you have paid into the disability system, as they call it, in the same way you would pay a premium on a private insurance policy. She had not done so, so they denied her claim for SSDI benefits. The reason everyone was shocked and outraged on social media is because the SSA was essentially saying that if you choose to be a stay-at-home parent, you are not engaged in substantially gainful activity, are not contributing to the program, and are not entitled to disability benefits. In other words, they are basically saying that all this woman’s hard work was financially worthless, and that is very upsetting. This is one of the many areas that need to be addressed in terms of making the Social Security disability system more effective in terms of providing much needed disability benefits to millions of disabled Americans. The system also needs to be properly funded, so there isn’t a looming fiscal crisis every few years where over 11 million Americans face a massive cut in their benefits, unless Congress decides to act at the last minute as we saw last year. In addition to comments that people were just generally upset after hearing that this woman was denied for Social Security disability benefits, there were many people who shared that they had also been denied for the same reason, as they had not worked in many years. One thing some people do not realize is that after becoming disabled, they can no longer be a stay-at-home parent and provide these services, so they must hire someone else to do them. While the family’s income may not go down, their expenses go up, so it’s the same thing.